Most nutritionists and health experts will agree that adding more colorful fruits and vegetables to your diet is beneficial to your overall health. Read on to find out why you should eat a rainbow every day. The Academy of Nutrition and Dietetics made this year’s theme "Eat Right with Color" to focus on improving eating habits by simply eating a rainbow of color -- and they aren't talking about M&Ms. Gayl Canfield, director of nutrition at the Pritikin Longevity Center in Miami, Florida, has helped countless Pritikin guests eat a well-rounded, low-calorie diet that focuses on lean protein, lots of fruits and vegetables, and whole grains. Canfield offers these suggestions for eating a rainbow of foods every day. The bright, vibrant pomegranate has been shown to help prevent a variety of chronic conditions such as heart disease, Alzheimer's disease and some cancers. If you don't know what to do with the entire fruit, you can get many of the same benefits from drinking pomegranate juice or eating pomegranate seeds. Bright and nutrient-loaded sweet potatoes are a delicious, filling food. Packed with beta-carotene, copper, iron, potassium and fiber, this superfood looks great on any plate! 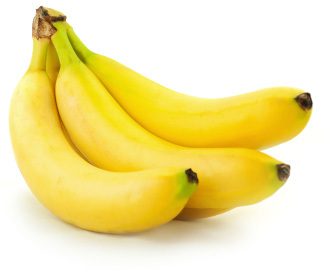 As a great source of potassium and electrolytes, bananas are a quick and easy go-to healthy snack (especially after a workout) that helps our bodies maintain healthy nerve and muscle function. Plus, they're high in fiber, so they're satisfying and filling all day long. 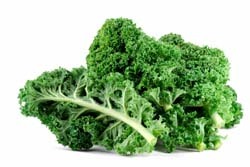 On top of cancer-fighting antioxidants, kale is high in vitamins and minerals to promote heart health and keep your weight in check with filling fiber. Just a handful of blueberries (or blackberries) packs enough potassium and vitamin C to make it a top choice of doctors and nutritionists. These berries can lower the risk of heart disease, cancer and help reduce inflammation that can lead to chronic diseases. Whether you are looking to slim down or just want to eat right, eating a rainbow of foods makes sense. Fruits and veggies are packed with vitamins, minerals and other nutrients that are essential to good health. Make it a point to put a rainbow of foods on your family's plate every day.